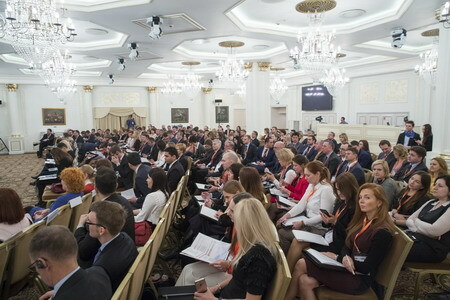 The conference was held under the auspices of the All-Russian Insurance Association. 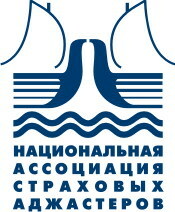 IPJSC Ingosstrakh traditionally became the prime sponsor of the conference. The event was also supported by TRUST RE reinsurance company and Standard & Poor's international credit rating agency. Despite the difficult situation in the Russian insurance industry the conference brought together 217 participants from 16 countries. There were representatives not only from the Western European markets, but also from the Middle East, the Central and Southeast Asia among them. The primary audience included directors and top managers of the insurance, reinsurance and broker companies, adjusters, independent experts. First day plenary discussion was devoted to the most pressing issues for the entire insurance and reinsurance community which are: governmental regulation and supervision, development trends of the reinsurance sector, forecasts and key changes, development of the legislative framework. Much attention was paid to the work of the national state reinsurer, its first experience and further prospects. The following persons took part in the discussion: R.Yu. Tochilin, Deputy Head of the Insurance Market Regulation, Insurance Market Department of the Central Bank of the Russian Federation; V.Yu. Balakireva, Deputy Director of the Financial Policy Department, the Ministry of Finance of the Russian Federation; S.V. Gusar, Vice-President of the All-Russian Insurance Association; K.E. Turbina, Director of the Moscow Representative Office of General Reinsurance AG, Chairman of the Working Group on Insurance Legislation - AIDA National Chapter under the Committee of the Association of European Businesses for Insurance and Pensions; I.V. Alekseev, Head of Incoming Obligatory Reinsurance Department, SPAO Ingosstrakh; N.V. Galushin, President - Chairman of the Board of JSC “Russian National Reinsurance Company”; D.Yu. Blagutin, General Manager of SCOR Perestrakhovaniye LLC; N.Yu. Kolesnikov, Director General of CJSC Kapital Re; I.N. Kabachnik, Deputy Director General of AlfaStrakhovanie PLC; Dennis Sugrue, Director and Specialist in the Reinsurance Sector, EMEA Region, S&P Global Ratings; Sinisa Lovrincevic, Branch General Manager Trust Re Cyprus Branch; A.A. Bredikhin, Director of the Financial Institution Rating Group Analytical Credit Rating Agency JSC (ACRA); P.A. Samiev, Managing Director of NRA, General Director of BusinessDrom, Executive Director of the ARIA Insurance Institute. The first conference day ended with the Business Game “It's a family affair – let’s settle it ourselves?” dedicated to controversial issues in working with RNPK and other market participants. 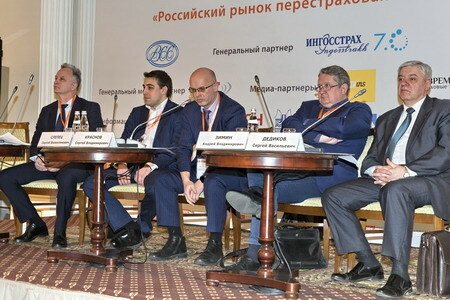 The round table themes on April 6 were devoted to sharing of experiences and discussion of current practical issues: the results of contract renewals, ensuring the consistency of insurance and reinsurance contracts, Russian and foreign law and judicial review. The conference was held in an openhearted and friendly atmosphere. Active debates, free discussion of problems, exchange of opinions, interaction of the audience with speakers, interactive polls – all this allowed the participants to assess properly the situation and to shape further plans for their professional activities.